How to Set up a LinkedIn Company Page | Get the Latest Online Marketing Trends in Web Design, Social Media, Blogging, and More. Regardless of the size of your business, in today’s marketplace it definitely pays to be a social butterfly. 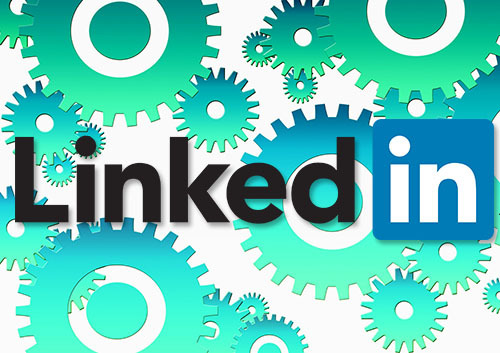 While Facebook and Twitter might be the best platforms for sharing funny cat pictures and 90s pop culture quizzes, if you really want to make a splash on behalf of your brand, it’s all about connecting with customers via LinkedIn. To help you get off on the right foot, here’s everything you need to know about setting up a company profile on the world’s premier commerce-oriented social network. Before doing anything else with your company page, you’ll need to fill in all the blanks regarding the particulars of your business. While most people might rush through this phase of the process, LinkedIn’s very own Chuck Hester – a marketing and communications executive with the social network – suggests the exact opposite. As Hester points out, search engine leaders like Google and Bing crawl through every nook and cranny of the Internet when compiling rankings, so spending a little time working in some optimized keywords into your profile is a great way to show up on relevant results pages. A simple way to pull off this SEO tactic is to take a minute and write down keywords, phrases, and topics that relate to what your brand offers on a daily basis. Using these idea to fill in all the “about” sections of your company page gives you a serious competitive advantage over other companies that put forth the bare minimum. Once you’re ready to make a post on the social network, Fox Business’ Gabrielle Karol suggests coming up with a theme or recurring message to help provide continuity to your outreach. For example, Karol recommends using your daily posts to offer a behind the scenes look at how your company does business. Not only does this transcend the generic and thinly veiled product placement messages you often see on the network, it again helps with getting your business profile noticed on Google. This search engine leader rewards active members of the web community, so use this to your advantage by updating your page with fun and insightful content as often as possible. For brands looking to go beyond the traditional company profile, LinkedIn offers an even more in-depth and interactive tool for digital marketing outreach – the Showcase Page. At the core of this utility is the idea that your organization can target certain portions of your LinkedIn audience more efficiently by highlighting aspects of your business process via extended profile content. Once you’ve identified the area of your brand activities that deserves a little extra attention, simply click the “edit” menu on your company page and select the “create a Showcase Page” option. After doing this, you’ll have a specialized platform which lets you share the content that matters most to particular segments of your audience. Being active with your outreach and taking the page creation process seriously is the best way to make waves when you join this social network. If you can do this, your business can take center stage as a thought leader on the LinkedIn platform now and for years to come.